ATA / Поиск по тегам / DC-SWAT - Сайт о Sega Dreamcast и не только. This is a first version of G1-ATA adapter. 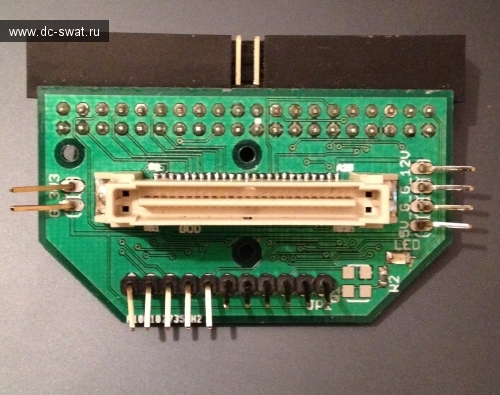 The printed circuit board is provided with small errors in size, so if you can draw yourself, do it better. Or you can wait the new version of PCB from OzOnE. And of course you can solder wires directly to the motherboard. You can use IDE HDD (need external power) or CompactFlash cards (powered from DC). Maybe some adapters IDE->SATA/SD etc will work too, but this is not guaranteed.